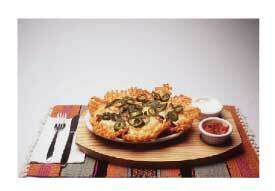 North American Cuisine reflects the people living here - it's a hodge-podge of every culture and cuisine in the world! Learn more about wine, Cajun cooking, or - best of all - chocolate on a culinary tour or a cooking class while on vacation. You can spend an entire week indulging in your passion, or just include an afternoon class or walking and tasting tour as part of your vacation activities. 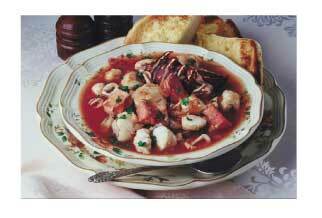 - The New Orleans School of Cooking offers a 3 hour demonstration New Orleans Cooking Class focusing on Cajun cooking. This is a fine example of North American cuisine that still feels "exotic"! You'll watch the pros prepare jambalaya, gumbo and pralines, learn their secrets - and taste the results! Classes are held daily except holidays. - The New Orleans Experience offers half day classes, full day "Immersion" classes, and 3 - 4 day weekend classes. Classes include hands-on experience, recipes, local history, and, of course, the meal itself. The weekend classes include a meal prepared by a noted local chef. 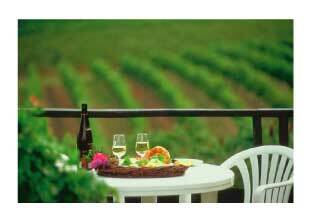 - Enjoy good food and wine in the Napa valley on the Napa Valley Wine Train. There are a variety of trips, 2 to 3 hours in length, through the scenic Napa Valley. Gourmet meals are served, along with local wines, in restored vintage trains. - If a trip to Italy is out of the question, the San Francisco Little Italy and North Beach Walking Tour is a good substitute. You'll tour the Italian enclave of North Beach, visiting shops and tasting breads, pastries and coffee along the way. After all that walking, you can justify the full Italian meal that ends the tour! - The Santa Fe School of Cooking has a wide variety of half-day classes in Contemporary Southwestern, Native American, and Mexican Cuisine. This is a melting pot of North American cuisine. They also offer a walking tour of Santa Fe restaurants where you can learn about the influence of several different cultures on Santa Fe cuisine. - The Jane Butel Cooking School has week-long, weekend, and 3 hour classes in New Mexican and Southwestern cuisine. Half-day classes can be demonstration or hands-on; longer classes combine demonstration with hands-on experience, and allow plenty of time for enjoying the sights of New Mexico. - The Institute of Culinary Education has many tours that sample the various culinary styles available in New York. There are tours of Chinatown, Queens, Tibeca, and Battery Park - each offering a different perspective of North American cuisine. (All are walking tours). There are Pastry tours and Chocolate tours, too! On their website, go to the "Recreational" section. - NYC Best of Brooklyn Sightseeing, Food and Culture Tour offers both a view of "everyday" New York, and a taste of the many cultures that make up this marvelous melting pot. You'll sample kosher food and Cuban sandwiches, and visit a chocolate factory on this half-day walking tour. - The Conscious Gourmet offers 3 - 4 day retreats in the Catskills, near Woodstock. The retreats combine organic cooking and yoga, in a beautiful wooded setting that also offers hiking and bird watching. - Learn historic methods of cooking on a stone hearth with Alice Ross Hearth Studios . A wide variety of day classes are available, in Native American cooking, the ethnic origins of North American cuisine, and techniques using antique utensils. These classes are great for those who love history as much as they love food! - Boston's North End is also known as Little Italy, and for many years it was somewhat isolated from the rest of the city. The markets and shops in this area are still distinctly Italian, and you can learn more about them in the Boston North End Market Tour. I have personally taken this tour, and found it interesting and entertaining - and I don't cook! This tour focuses on authentic Italian ingredients, where to find them, and how to use them. It's a walking and tasting tour, not a demonstration or cooking class. I lived in Chicago for many years, and I love Chicago-style pizza. It's one of the things I miss most about the city (there are Chicago-based pizza chains around the country, but somehow it isn't quite the same). But I also miss the hot dogs and Italian Beef! Chicago Food Planet offers food tours on Chicago's Near North Side (ie, the Gold Coast) and in Wicker Park/Bucktown, an up-and-coming area of the city. Both offer pizza, of course, and lots of chocolate! The Near North includes a traditional Jewish deli, while the Wicker Park offers an organic grocery. Both are tasting tours and make a tasty lunch!